The world’s thinnest convertible laptop. The ASUS 13.3” ZenBook Flip Touch Notebook is one of the world’s thinnest and lightest convertible laptops, designed for anywhere and everywhere. The ASUS 13.3” ZenBook Flip Touch Notebook combines elegant sophistication with the convenience and versatility of a 360deg flippable display. This ultra-thin, ultra-light convertible is a stylish laptop, a handy tablet or anything in between. The 8th Generation Intel Core i5 processor lets you sail through everyday computing tasks with ease. The NanoEdge multi-touch display on ZenBook Flip offers all the quality you’d expect from such a beautiful laptop. The ultra-sharp screen offers an amazing FHD resolution of 1920 × 1080 and it features 178deg wide-view technology, so imagery looks great from almost any angle. And with an incredible pixel density of 331ppi, images and text are always pin-sharp and ultra-detailed. 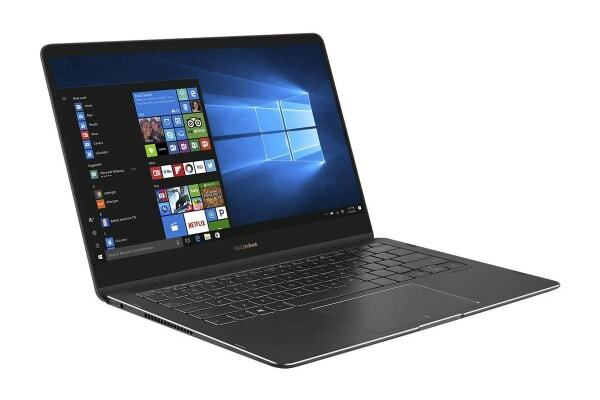 The ZenBook Flip features the 8th Generation Intel Core i5 processor, 8GBDDR3 RAM, an ultra-fast 256GB SSD. So there’s no need to worry about what you can or can’t do with ZenBook Flip – it’s practically unstoppable. 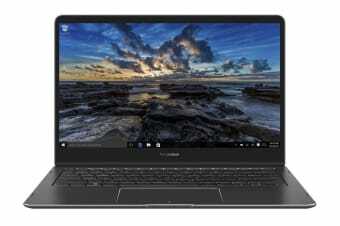 To equip ZenBook Flip S with unsurpassed audio quality, the ASUS Golden Ear team and audiophile specialists at Harman Kardon joined forces to produce the next generation of ASUS SonicMaster audio technology. ZenBook Flip features two separate high-quality speakers powered by a smart two-channel amplifier, to bring you true surround-sound that envelops you with distortion-free, cinema-quality realism. ZenBook Flip really does give you the most incredible sound you’ve ever heard on a laptop. Accessing ZenBook Flip couldn’t be easy or more secure, thanks to Windows Hello and an integrated fingerprint sensor. Now there’s no need to type in your password every time you log in – a single touch is all it takes! A laptop as beautiful, powerful and prestigious as ZenBook Flip deserves nothing less than all-day battery life. To achieve its remarkable up to 10.5 hour autonomy, ASUS designed a special high-capacity 39Wh lithium-polymer battery for the ZenBook Flip. The battery is specially shaped to fit precisely into the impossibly thin profile. Also, the fast-charge technology facilitates charges of up to 60% capacity in just 49 minutes.